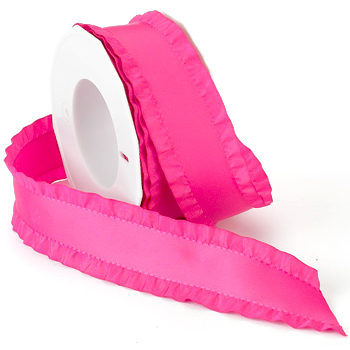 Double ruffle ribbon will hold a perfect bow! It's soft texture and shine will be sure to give your creations a beautiful look. This adorable style is available in 3 different widths and over 20 different colors.